The event is free to fleet managers, sustainability managers, law enforcement and transit staff. Other attendees are $25/person. Registration includes buffet lunch and materials. LPG Vehicles will be on display. 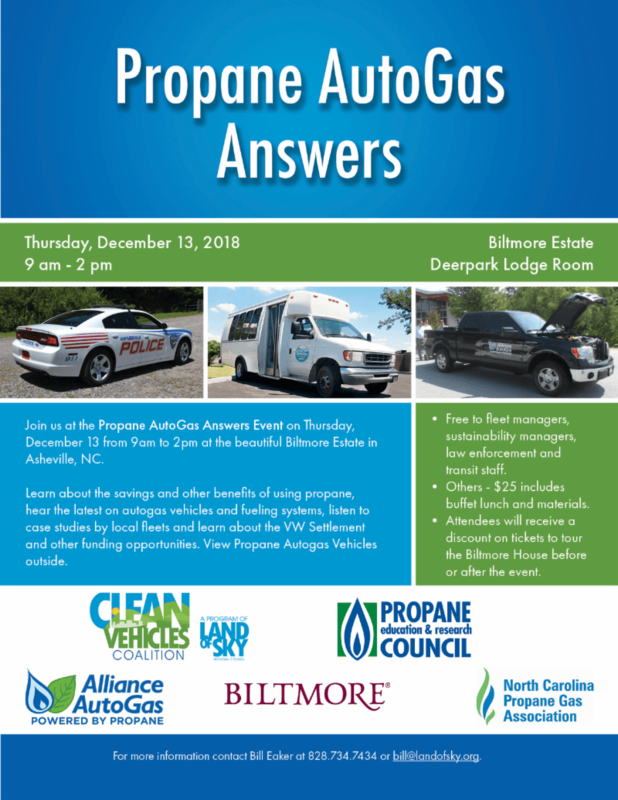 The Land of Sky Clean Vehicles Coalition is hosting a Propane AutoGas Answers Event on Thursday, December 13 from 9am to 2pm at the Biltmore Estate in Asheville, NC. 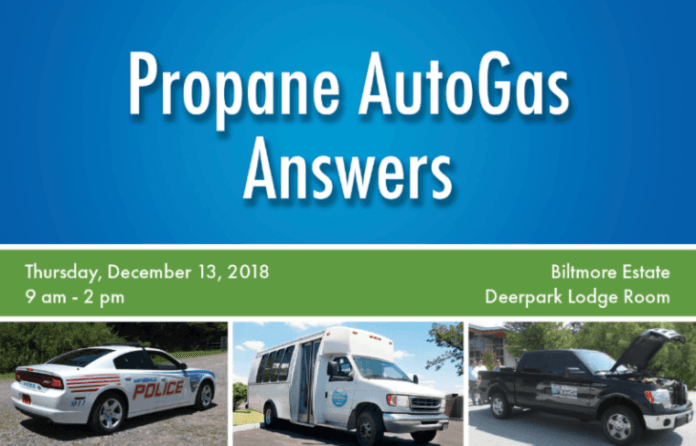 Learn why to use alternative fuels and about propane autogas vehicles and fueling systems, hear case studies by local fleets and learn about the VW Settlement and other funding opportunities. To register, contact Bill Eaker of the Land of Sky Clean Vehicles Coalition at bill@landofsky.org, or by phone at 828-734-7434. 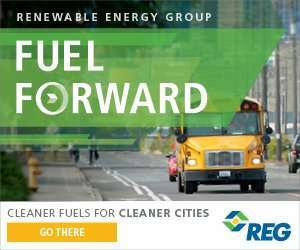 Sponsors include Clean Vehicles Coalition, Propane Education and Research Council, Alliance AutoGas, Biltmore Company, NC Propane Gas Association and ICOM.